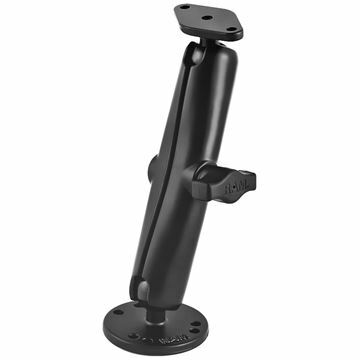 The RAP-B-401U Large Tough-Claw with 1" Rubber Ball is a mounting base that easily clamps onto any shaped rails between 1" to 2.25" and has a 1" rubber ball to connect your compatible socket arm. 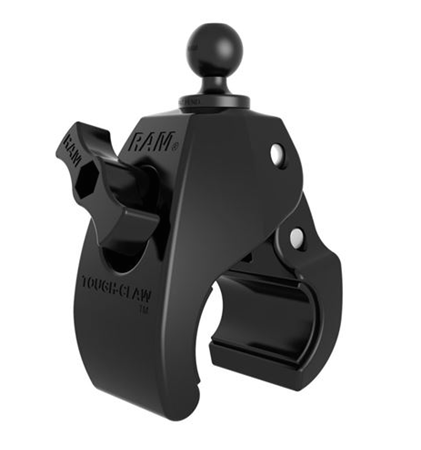 The RAM RAP-B-401U RAM Large Tough-Claw with 1" Diameter Rubber Ball from the RAM Mount Bases range is made for square, round, and also oddly-shaped bars and rails. This can be fastened on rails that are sized 1” to 2.25” outer diameter. This is the ideal mounting base for simple and speedy removal and installation, the perfect fit for users who are on the go. Additional possible applications include mounting it on kayaks, bicycles, aircrafts, and more. The RAM-B-138U-C 1" Ball Flat Surface Mount has one 2.5" diameter round base and one diamond base adapter that connects to most RAM cradles.